Ford Kenya Leader Moses Wetangla has revealed a plan the Luhya nation intends to use to clinch power in 2022. According to the Bungoma senator, low voter turnout has frustrated the region’s effort to produce a President in the past despite the community commanding big numbers. The leader has now come out to urge the Luhya nation to unite and register in large numbers ahead of 2022 polls or risk being out of government once again. Speaking on Saturday in Kakamega during the burial ceremony of Rosebela Ndelema, a sister to Tongeren Mp Eseli Simiyu, Wetangula revealed that he was positive that the Luhya nation will be in government. “This time we have schemed properly. We will either form the government or be part of the government,” said Wetangula. 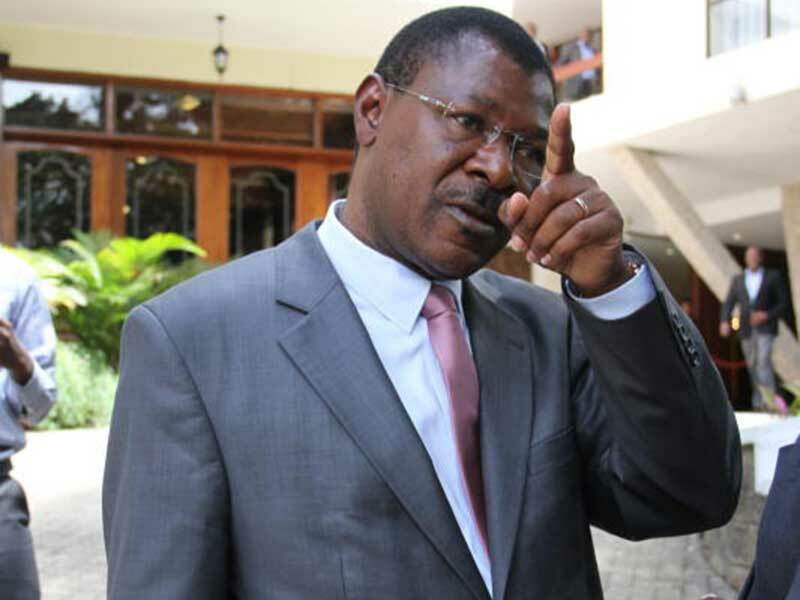 In preparation for the polls, Wetangula has asked the local administration to ease the process of acquiring identity cards which are mandatory during voter registration. “I want to ask the local administration to facilitate issuance of ID cards and stop asking our people many questions when they seek the document,” he said. Further, in a bid to make his ambitions come true and avoid divisions witnessed in the past, the senator has vowed to unite all Western leaders who have shown interest in the coming elections. “We have been talking with our brothers Musalia Mudavadi, Wycliffe Oparanya and others over the 2022 elections. We will soon reach an amicable solution,” he said. He noted that the ongoing consultations, shows how focused the leaders are to avoid being short changed. In March last year, Wetangula was ousted as Senate Minority Leader and replaced with Orengo after lawmakers allied to the Orange Democratic Movement (ODM) accused him of being a repellent leader and not being a team player. He has since declared a ‘war’ on opposition leader Raila Odinga who he said was behind the move.